Measurements: 37mm X 3mm thick. Characteristics: The back is flat and the front is flat. 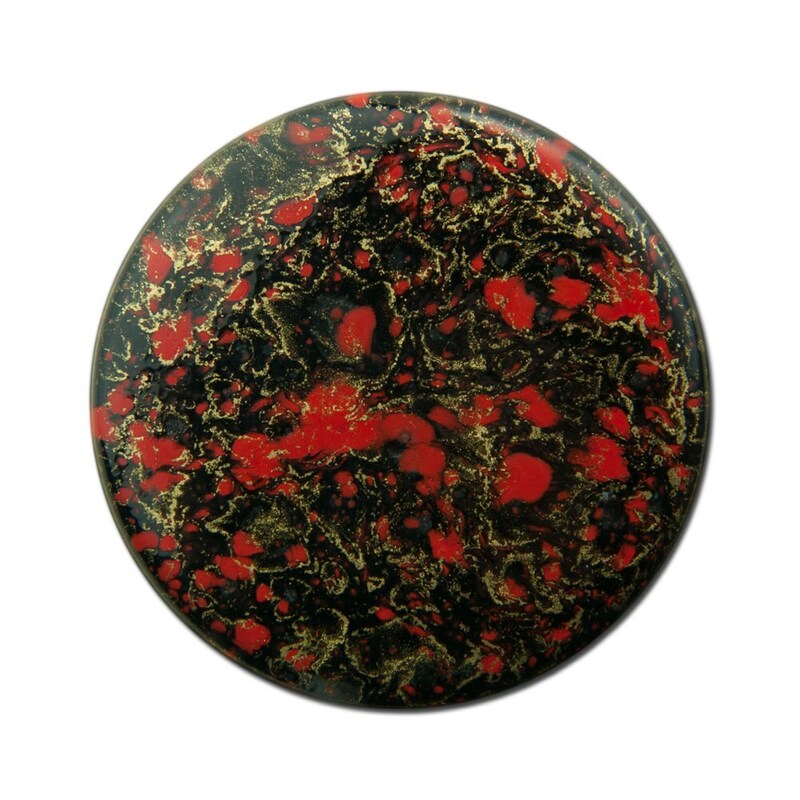 Color: These are a black cab with a red, black and gold design. 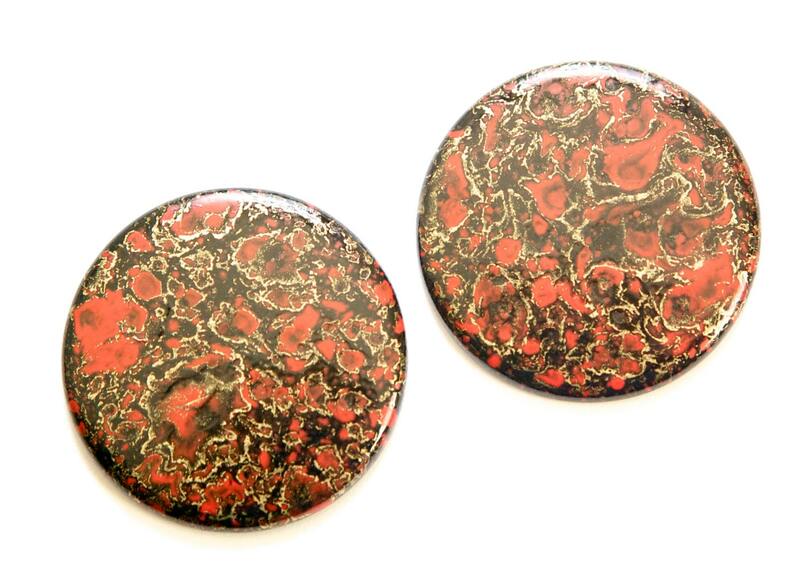 Love these cabs, thank you so much once again! These are also fabulous. I will buy again at this store.